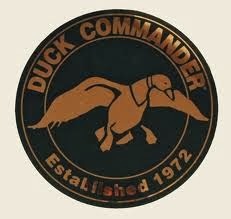 So the A&E reality series Duck Dynasty has become a bit of a cult classic in the form of a TV show. To some the show is hilarious and to some it is one of the least entertaining things on television. The show follows the Robertson family in their business and personal dealings. The patriarch of the family Phil Roberts was the starting quarterback for Louisiana Tech ahead of Hall of Fame Quarterback Terry Bradshaw yet passed on the opportunity to play in the NFL because of "Duck Season." Phil went through a period of time in his life where he struggled with alcoholic and criminal habits before coming to faith at the age of 28. Phil revolutionized the Duck Call and duck hunting industry as a whole when he patented a new kind of Call in 1972 and incorporated Duck Commander in 1973. In a recent piece by Drew Magary for GQ magazine (read it here) the Robertson family was the center of attention. The reporter published a quotes from Phil regarding homosexuality and Phil's perspective on sin. And because of this article Phil has been suspended "indefinitely" by A&E from the TV show. The scripture that Phil quotes from Corinthians talks about multiple sins, some of which he had a past with. It does not surprise me that Phil holds this position, many conservative Christians (especially in the deep south) hold this position. From my perspective the Robertson family lives consistent with their stated beliefs. While my beliefs may differ from theirs on some points we do agree on not judging, loving others, and that Jesus exemplifies a better way to live than I know how to live on my own. I do not agree with Phil in terms of naming specific things as "sinful" because when you do that even if you can back it up with scripture points a finger towards others. When asked about sin I like to discuss the concept of it or to point out that whatever sins may be, to God they are all equal. While at the same time I like to point out that my own sins are the worst sins in my opinion because those are the only ones I have anything to do with. My hope is that Romans chapter 8 holds true and that nothing can separate us from the love of God. I understand A&E suspending him for commenting on how they handle the show Duck Dynasty. Maybe not an "indefinite" suspension but there are some things you can't say about your employer to a Magazine writer and not get reprimanded. If he was suspended specifically for the two quotes posted above then perhaps they should reconsider based on how the article is presented in general. Either way you look at it, this is PR tightrope for A&E to walk, even though the added publicity will probably translate to more viewers for the hit TV show. Unfortunately the irresponsible way the interview was presented by GQ has been rewarded with an obscene amount of traffic surrounding this article. To any of my friends that might identify themselves as LGBT reading this: I want you to know that I do not see you in terms of your sexuality. I see you as individuals created by God who loves you. In any aspect of life I would be more than glad to show you that I care for you as a brother or sister. Even if you press me to do so, I will not say that your sexual orientation is inherently sin, yet without provocation I may still address other sinful aspects of your life if you display them around me, i.e. unnecessarily foul language, slandering others, hate, lust, violence, or cheating. Lets try to figure out how to live out loving others more perfectly.